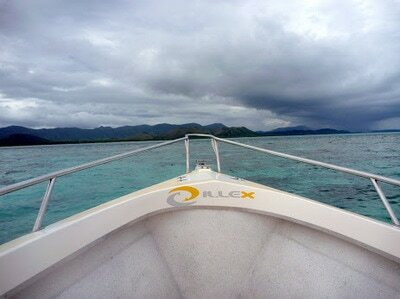 Just got back from a great trip to the West Coast of New Caledonia organized by Ocean Blue Adventures. I went with my fishing buddy Gary from Wisconsin. We fished 6 straight days at two different locations; Nekweta Surf Camp in Bourail and Ouano Surf Camp in La Foa. If you don't want to bother with the whole report you can scroll down to the pics. 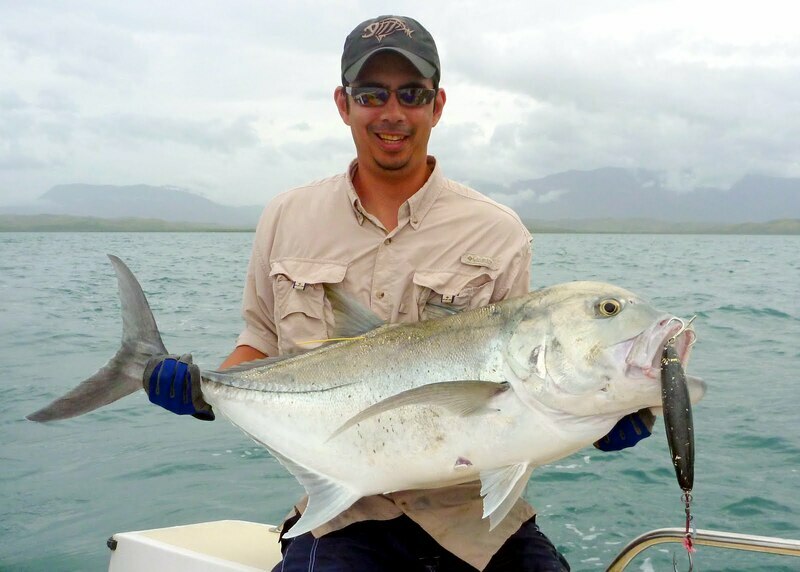 This trip was almost exclusively focused on casting topwater lures for giant trevally, or ulua in Hawaiian. 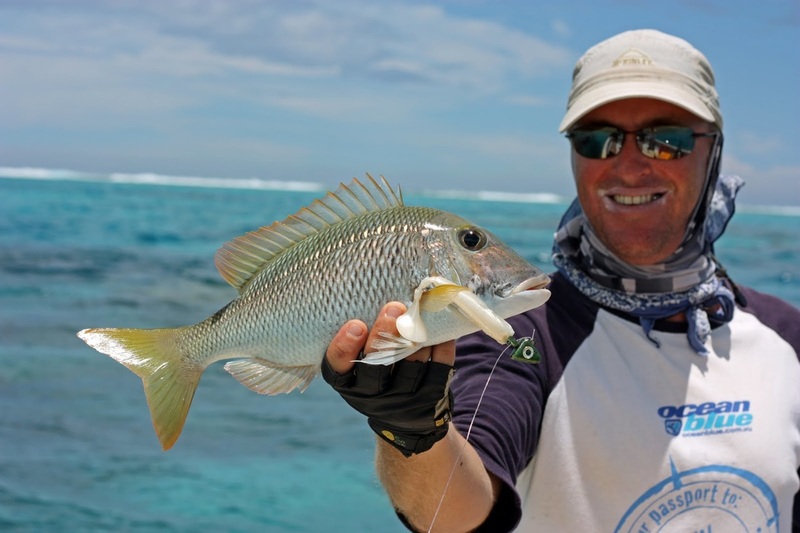 Remote spots like New Cal offer the opportunity to fish for them on topwater lures, which are very tiring to cast all day but offer an exciting visual when a fish comes out of the depths to smash your lure on the surface. 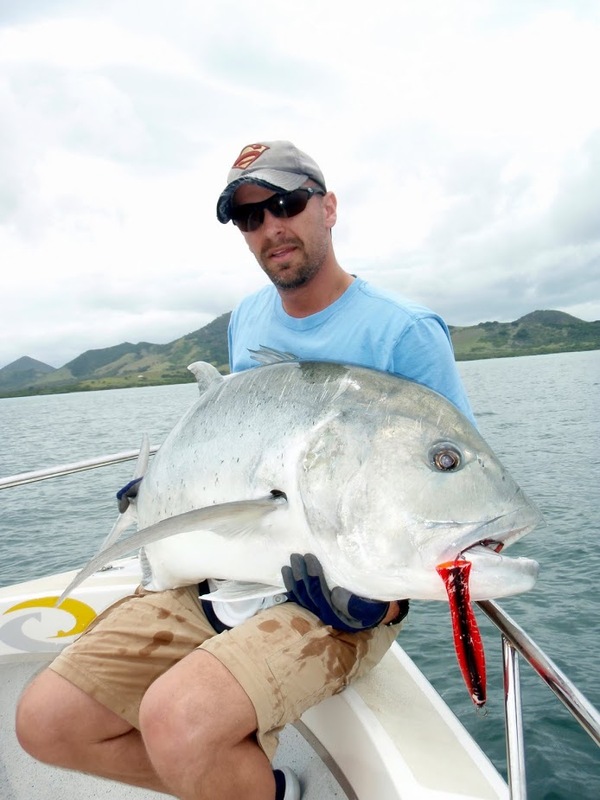 There is really nothing that can prepare you for the violence of an ulua strike on a surface lure; both Gary and I struggled to hold onto the rod on quite a few of the initial strikes. Gary lost his balance and nearly sat in a bucket of hooks one time and I was halfway over the railing once when I wasn't paying attention. When the fish smashes the lure it sounds like someone dropped a small car into the ocean. "Bone jarring strike"; is a phrase that gets thrown around far too often in fishing, but this is one of the few times it is apt. If you are not careful you could probably get your shoulder dislocated or something. Even at the end of the week after many ulua strikes I was still taken aback by the force; it's not something you can totally prepare for. 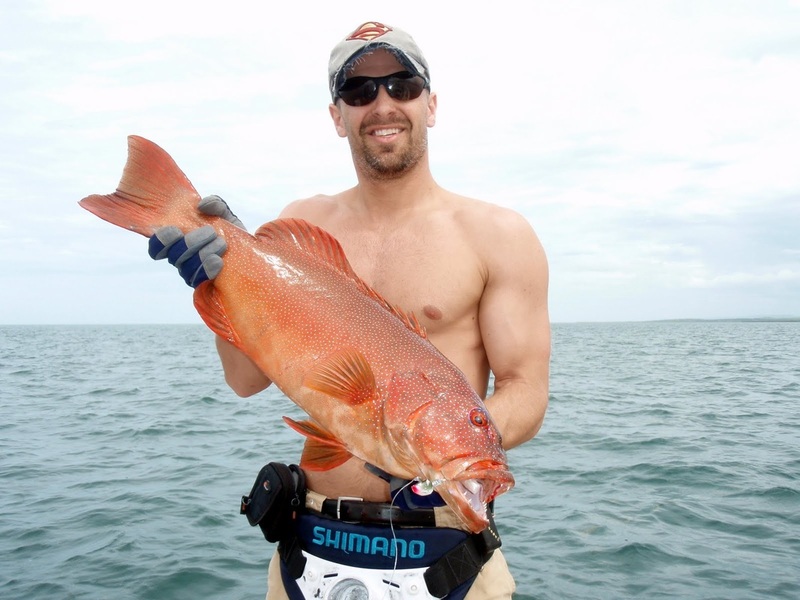 I feel privileged to have experienced it; if there is anything better in sport fishing I would like to know about it. Every now and then we took a break and fished for smaller reef fish on lighter tackle. 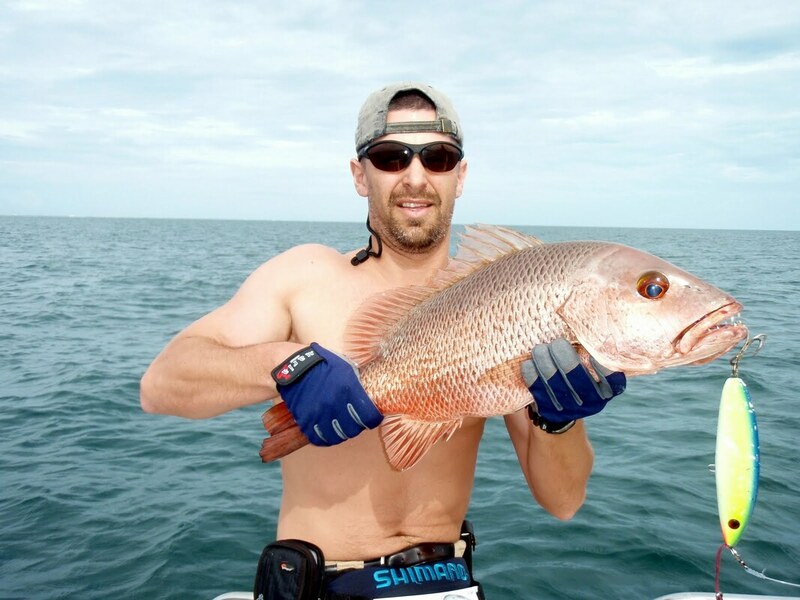 That was pretty fun because the reef fish all fight pretty hard on light tackle and you never knew what you would pull up. We ended up with 20 different species including various groupers, coral trout, several trevally species, a wolf herring, and some other cool stuff. The first day of fishing was really tough. 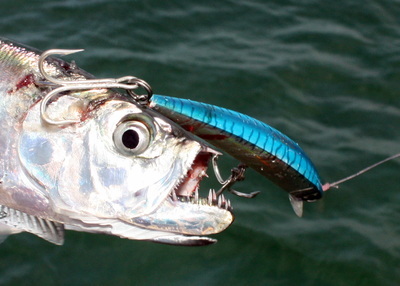 I had a big ulua hit my lure in the morning and immediately found the weak spot in my knot and broke off. That was really disappointing, especially since it was avoidable. 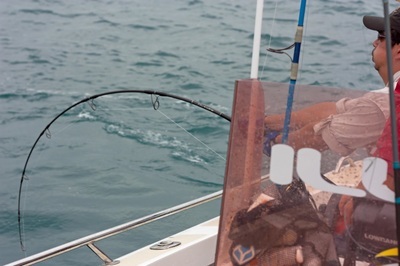 Next I hooked a large shark that stayed on for about 2 minutes before biting through the line. The rest of the day was pretty quiet; endless casting in the heat and not much to show for it; just two more ulua strikes that didn't get well hooked and spit out the lure. 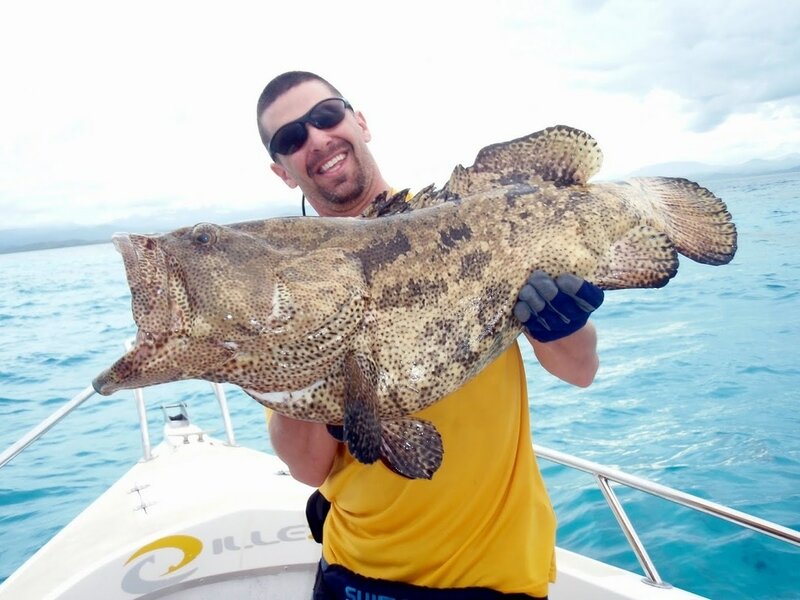 The only thing I landed after hundreds of casts in the hot sun was a small grouper. That was a little disheartening but I've done enough fishing to know that things can turn around at any moment so I didn't get too discouraged. The second day we were out casting like fiends again trying to get something to stick. 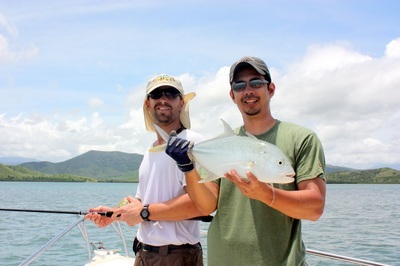 I saw some bait fish running from something so I cast my lure in front of them and was rewarded by an ulua grabbing my lure and trying to wrench my arm off. 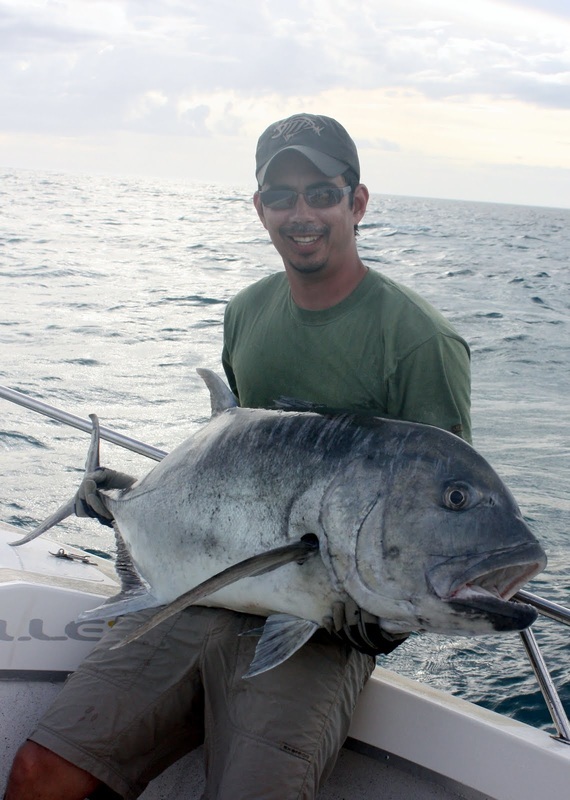 I was able to get him into the boat and was glad to have the first ulua monkey off my back. I had been waiting for many years for that moment. It was a relatively small fish; around 20lbs, but I was still ecstatic. The rest of the day we did a number on the grouper and other reef fish but no more ulua. The fishing seemed to get better every day. 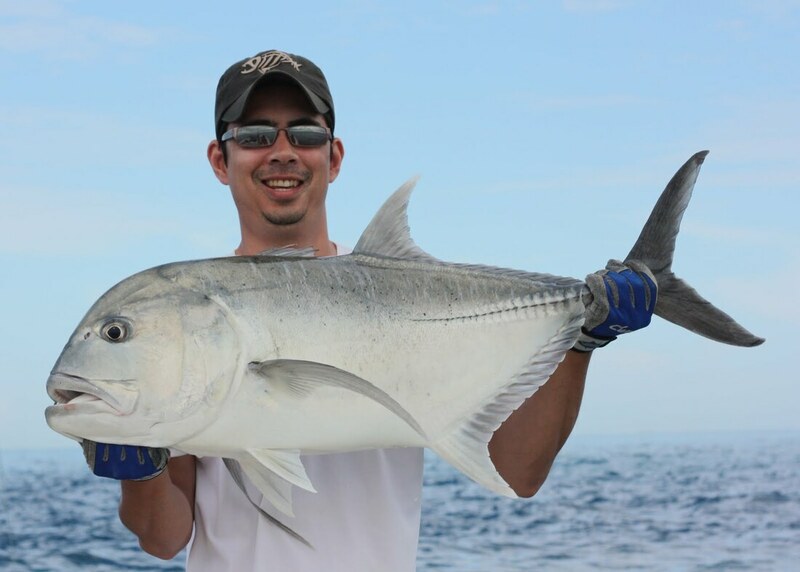 I landed a pair of ulua in the 40lb class on the third day, 4 fish up to 40lbs on the fourth day, and three in the 60lb class in the last couple days. I ended the trip with 11 ulua landed, with the largest weighing 64lbs. That is the largest fish I have ever caught while lure casting; I have caught many fish larger than that but they have either been on bait or trolling. I actually caught 3 ulua around that size this trip. 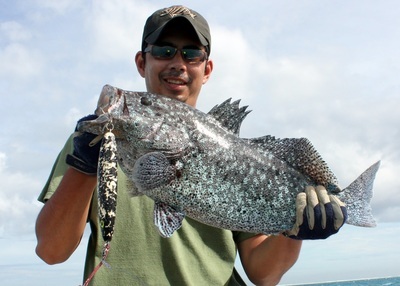 Gary only landed 3 ulua all week but his largest was an 80lb beast. 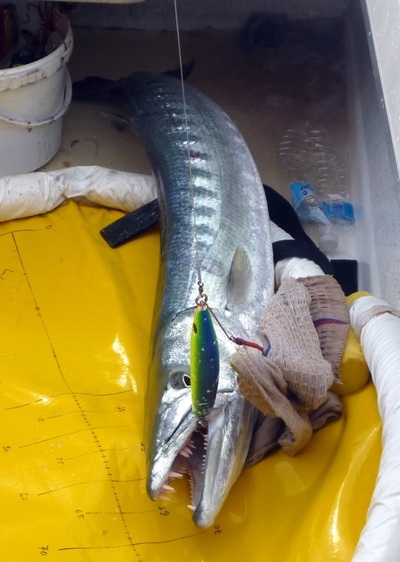 He did better on the other species than I did, including the largest barracuda I have seen in person. We both lost at least 3 big fish per day for various reasons; cut the line in the reef, spit the hook, etc. That is pretty unavoidable in this type of fishing. 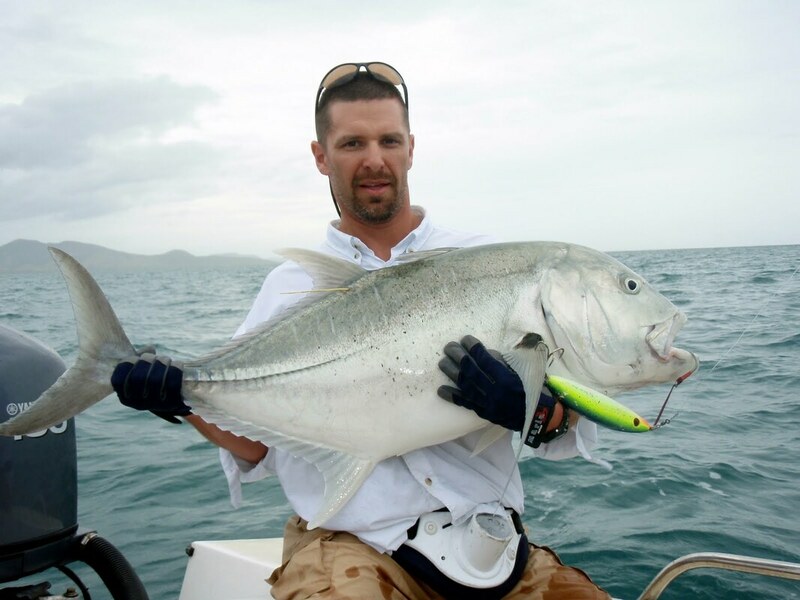 My largest fish was hooked in the last half hour of our last day in very shallow water and kept trying to head into the coral bommies that dot the lagoon. 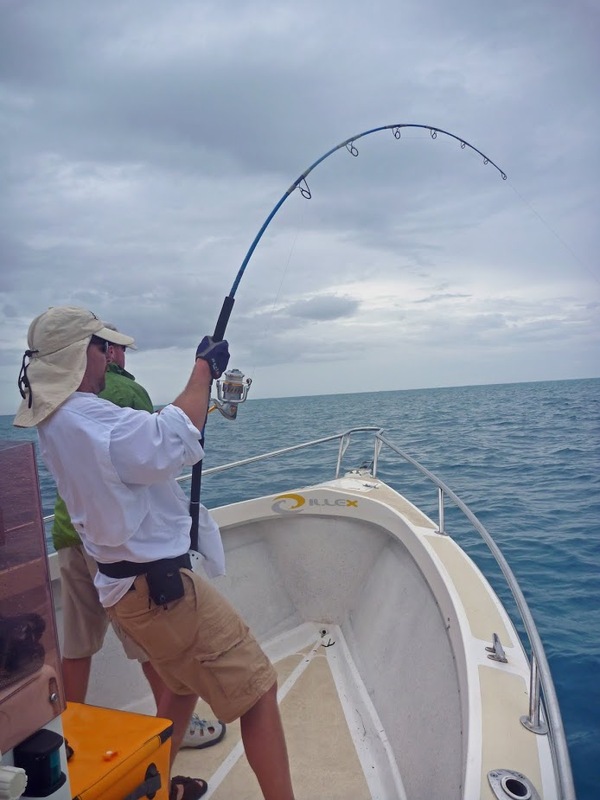 Our guide would gun the motor and try to race to the reef before the fish, which would cause it to turn and head in another direction. I was worried that it would get in some rocks and cut the line, and it did briefly get into some but I was able to get it out. It was quite exciting chasing the fish all over the lagoon before finally getting it into the boat. 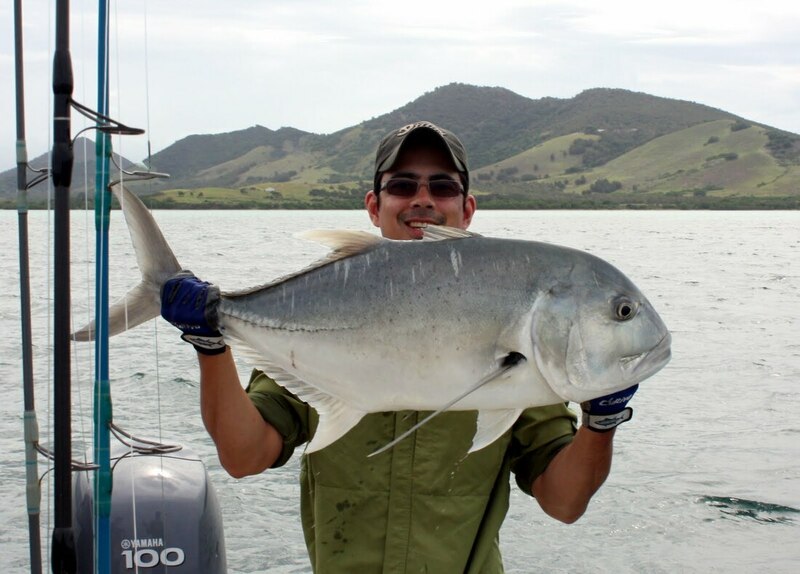 Whenever we caught an ulua the guide would measure it and then tag it for study. The fish are treated very carefully which was nice to see. They all swam away in good shape. 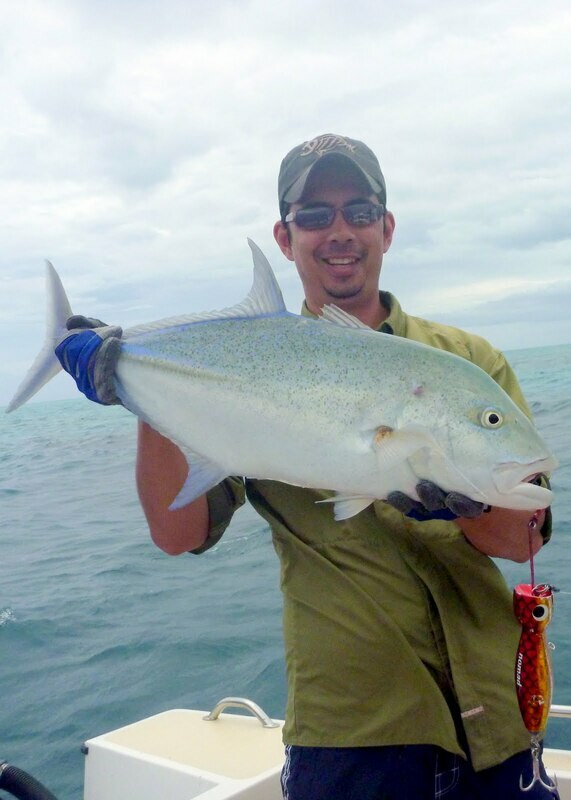 We only fished artificial lures with barbless hooks and released everything except the occasional small reef fish for dinner. Our French guide Etienne was a great guy and a great guide. He had no problem putting in the extra time to find fish. One of the best guides I have fished with. His English was not perfect but it was passable and we were able to communicate ok the whole week. 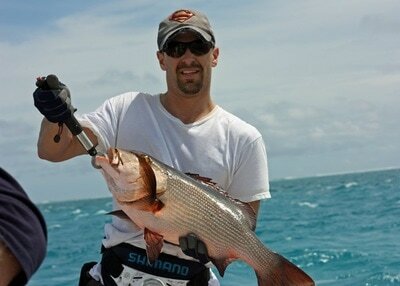 For tackle I used a Smith Komodo Dragon rod for poppers and a Carpenter Coral Viper rod for stickbaits. Both rods handled both the casting and the big fish perfectly. Paired with the rods were two Daiwa Saltiga Dogfight spinning reels which were ideal for this type of fishing. 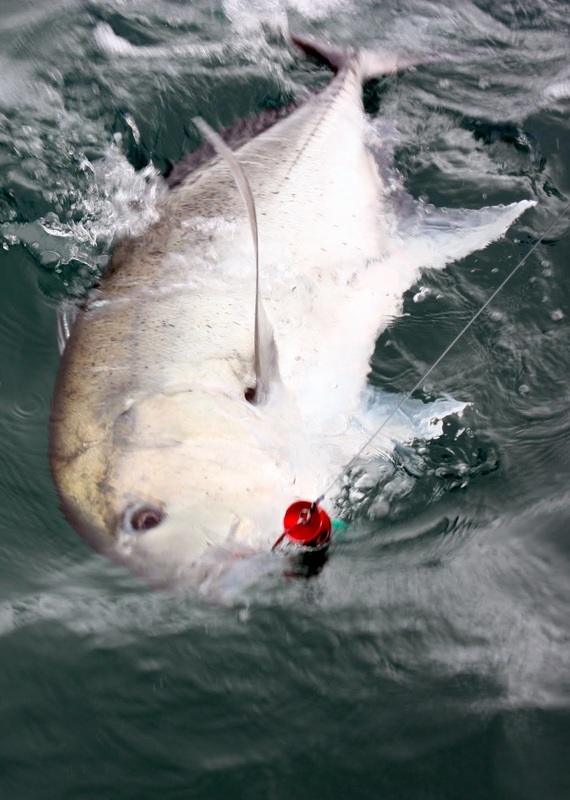 We fished 200lb mono leaders with the poppers and 140lb for the stickbaits. 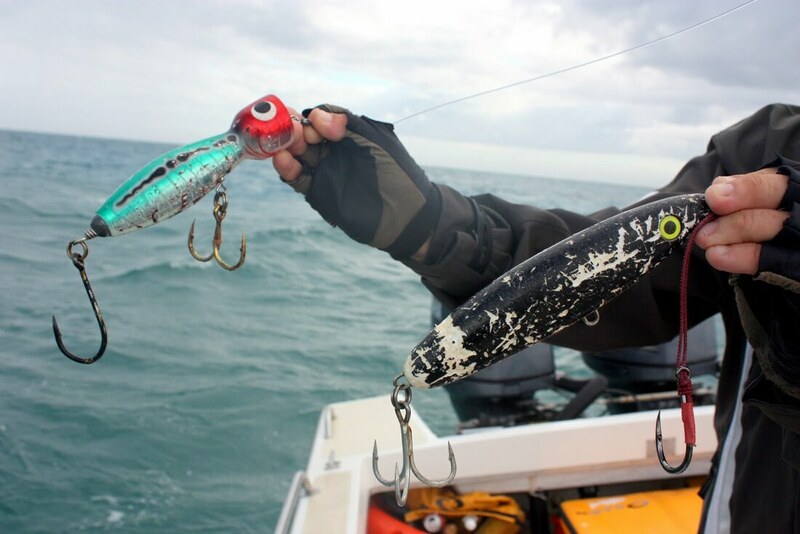 Best lures for us were the Orion stickbaits in black and Heru Cubera 125 poppers in red head/green body. Gary's big fish came on a bright orange Halco popper. 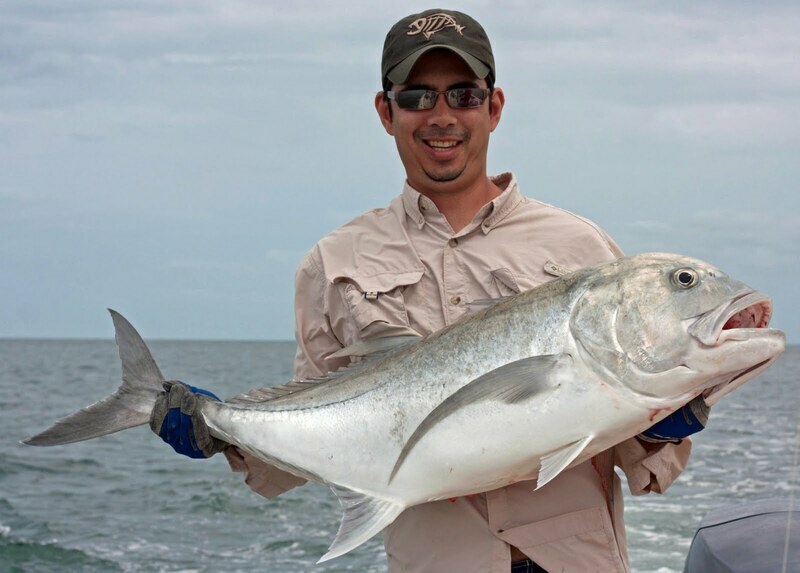 My biggest fish was caught on a Nomad Skipjack popper that was retrieved rapidly to skitter across the surface. For the lighter tackle stuff I used 20-40lb class custom baitcasting rods from Performance Tackle in Long Beach. One of had a Daiwa Pluton 200 reel and the other had a Shimano Conquest 400 reel, both spooled with 50lb braid. 30lb flouro leader was the minimum as even the small fish could bury you in the rocks. 50lb was safer but sometimes affected the action of certain lures. Etienne had some very good tackle available and Gary mostly used his stuff. This sort of trip is definitely not for everyone. It's a long haul to get down there and you need to be in good shape to hit the ground running and cast those big topwaters 8-10 hours a day. From a physical comfort standpoint it was not great. The sun baked us a lot of the time (no shade on the boat to provide more room for casting; got burned despite religiously reapplying SPF 50), the ocean was often fairly rough because of the wind (luckily no seasickness at all for either of us, but still hard to keep balance), and it rained on us now and again. 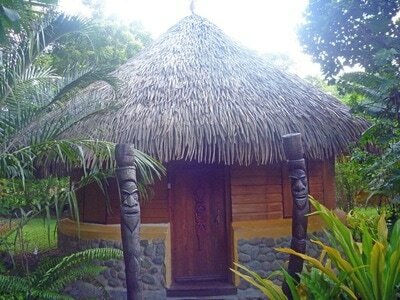 I think I only had two showers with warm water the whole time. The bugs were prolific especially at the second place we stayed. Arms, shoulders, and back were sore pretty much the whole time from casting and fighting fish and I finished a whole bottle of Advil in a week. Not a trip to bring the whole family. For both Gary and myself those things were far overshadowed by the fishing. 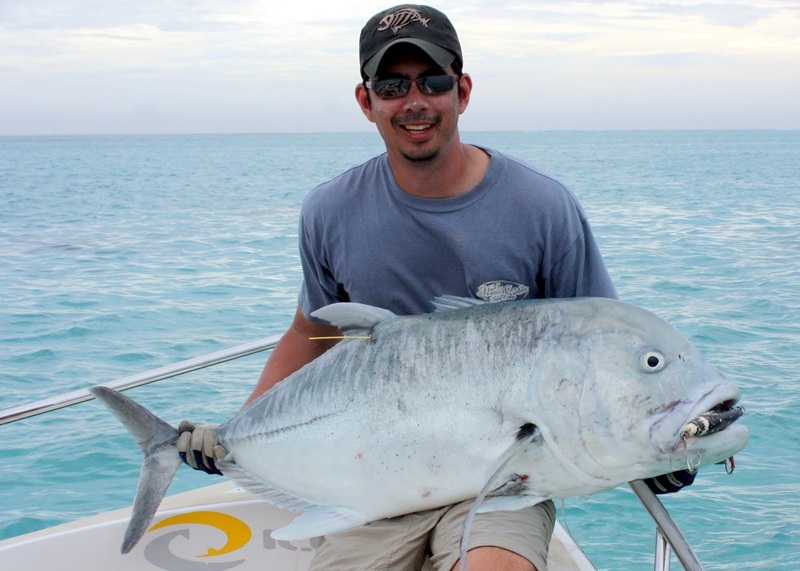 Seeing the giant fish come completely out of the water to smash your lure and then chasing the fish around the reefs in crystal clear water while trying to hang on to the wildly gyrating rod is an experience that has no equal in fishing that I know of. 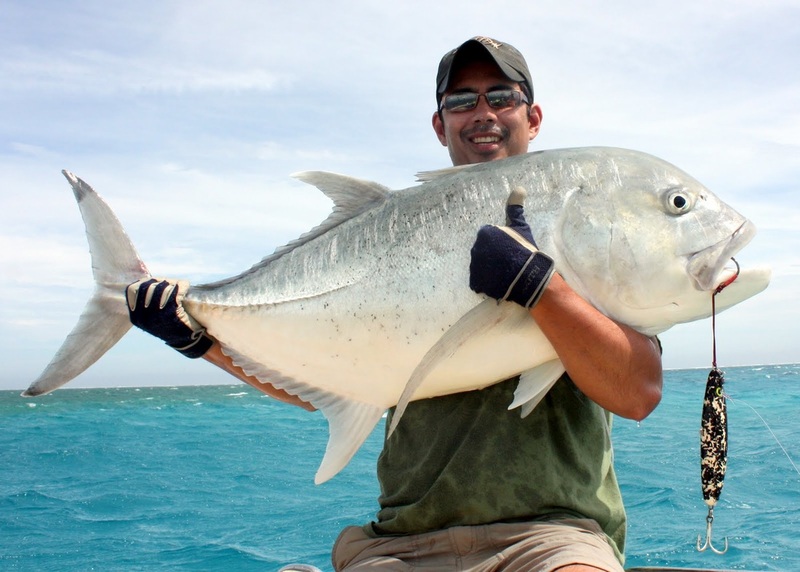 I vividly remember the hookups for all 11 of the ulua I landed and I'm sure that will stay with me for quite some time. Our guide Etienne is trying to get permission to fish a remote spot in a new area and I hope to give that a try down the road. Great trip.